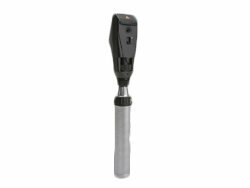 Retinoscopes are optometry devices which are used to shine light into a patient’s eye and observe the reflection off from the retina to measure the refractive error in the eye. The working principle of retinoscopy is Focault’s principle. Retinoscopes are used in optometry to detect any regular or irregular astigmatism, accommodative abilities, estimate the refractive error in an objective manner and in the detection of opacities and latent hyperopia. Retinoscopy also allows for the assessment of refractive status in infants, uncooperative patients and non-communicative patients. They are an important diagnostic tool which is used to evaluate ophthalmic conditions. 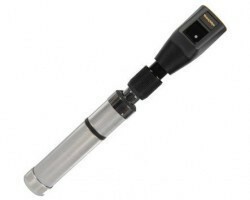 The retinoscope consists of a head, neck and tail. There are two systems in a retinoscope – a projection system and an observation system. 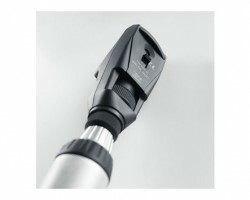 The projection system consists of a light source, a condensing light, a focusing sleeve and a current source. The observation system consists of a peephole. A perforated mirror by which the beam is reflected to the patient’s eye through a central hole, the emergent rays enter the observer’s eye. Movements of illuminated retinal area are produced by tilting a mirror, either plane or concave. The light source and mirror are incorporated in one. Light source is linear (uncoiled) filament. 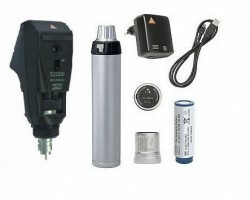 A retinoscope is an essential medical device used in ophthalmic clinics, hospitals and optometry health care set ups. Smart Medical Buyer offers retinoscopes at the best prices online in India due to superior sourcing. The easy search and ordering process and quick turnaround ensure a smooth and seamless experience.